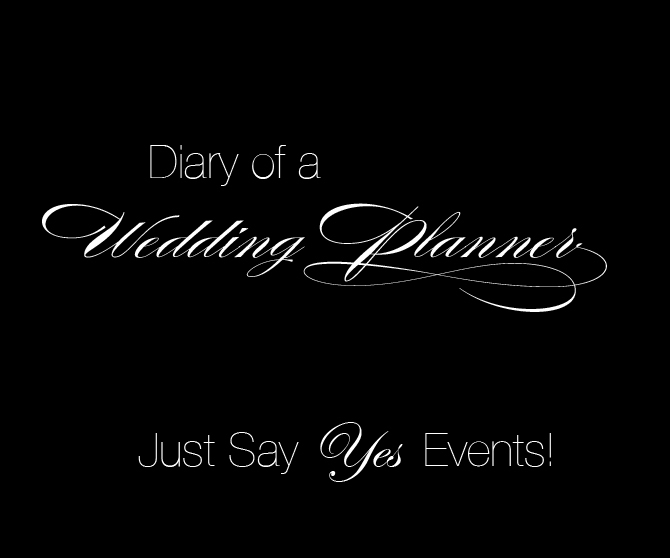 Just Say Yes Events planned a very romantic wedding for Catalina Vila & Jr Pereira. It was a wonderful experience being their wedding planning team. Catalina & Jr are very fun, loving and down to earth people. The love that they share is clearly visible and shinned during the ceremony. Their wedding date fell on Sweetest day which is October 17th 2009.....How much more romantic can you get than that!!?!?!? The color scheme chosen was black and red, which worked with the whole sweetest day theme. Just Say Yes Events created all the floral as-well for this particular wedding. 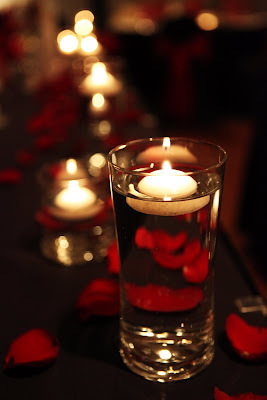 The guest table centerpieces consisted of tall pilsner vases, two red roses submerged in water, floating candles & glass beads at the bottom of each vase. The head table consisted of lots of glass cylinders with floating candles and TONS of rose petals!!! 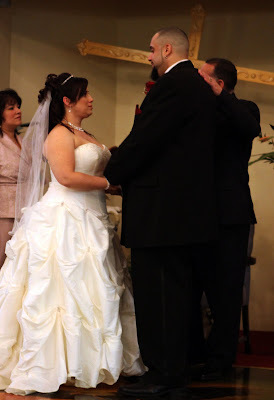 The brides bouquet was a huge bouquet with a little over two dozen deep red roses, tied with satin red ribbon. The wedding favor for the wedding was a massive 16 jar candy buffet. Every type of confectionary you craved we had!!! from marshmallows to twizzlers! The centerpice for teh candy buffet was a huge manzanita tree with hanging votives. "May they live happily ever after"
Congratulations Jr & Catalina from the entire "Just Say Yes Events team"